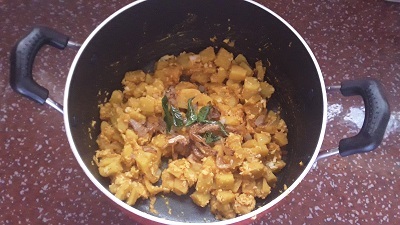 Chembu / colocasia / taro root is a nadan style thoran recipe. 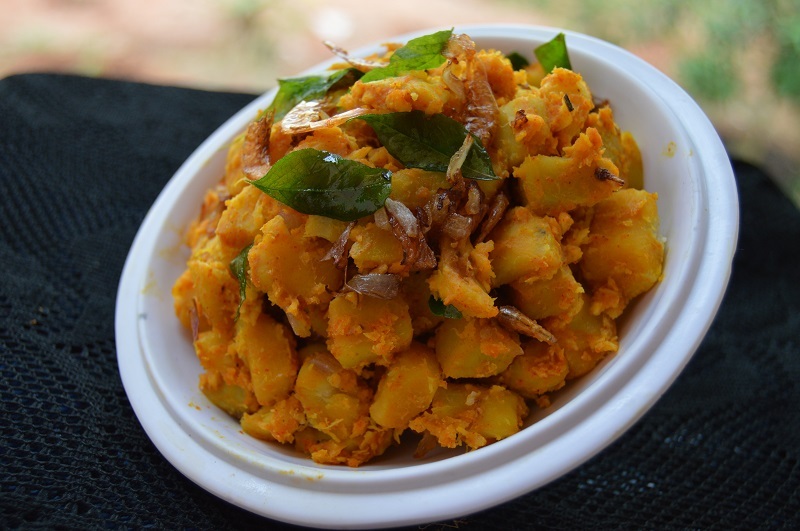 The chembu with taro is a tasty combination and a nice dish for rice. 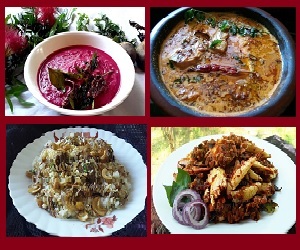 We can make different recipe by using chembu like chembu thoran, moru curry etc. Let’s see the recipe with detailed images. Please try this recipe and send your feed back in comment box. Enjoy cooking with yummy recipes. Remove and wash the chambu, cut in to small pieces and again wash it. Then put in a pan, add turmeric powder, red chili powder and salt to taste. Close the lid and cook it in high to low flame. Cook till the water evaporated. Then add grated coconut and mix gently. Heat oil in a small frying pan, add finely chopped shallots and fry till golden brown in color. Then pour in to the cooked chembu. 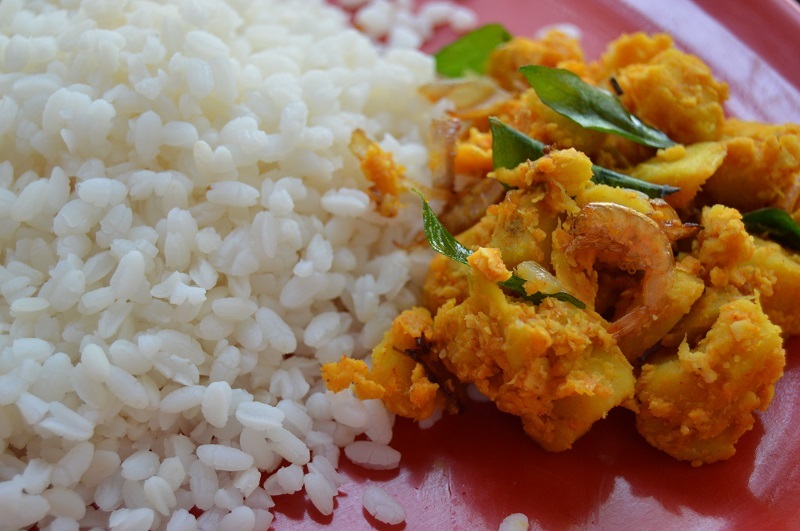 Also fry dry prawns and curry leaves and pour in the thoran. 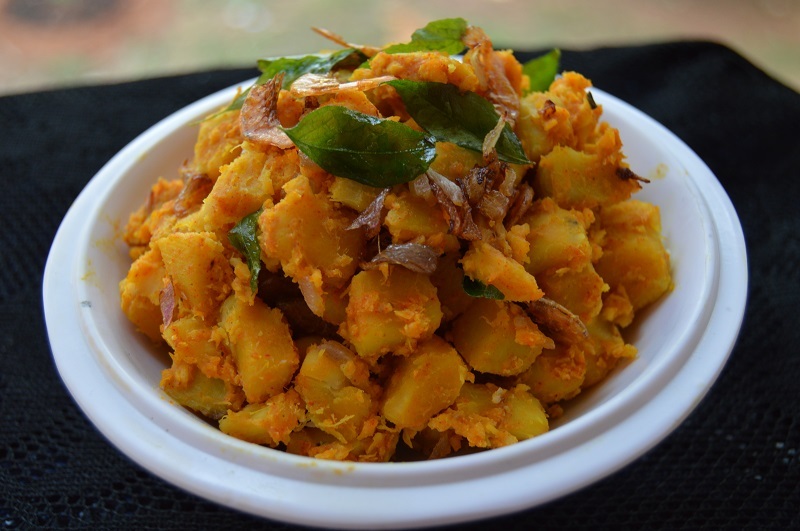 The tasty naadan style chembu thoran is ready to serve.